I have always considered myself a person of creativity, but rarely a person of business. The idea of trying to make a profit in order to make a living just simply made my head hurt. It drew up intimidating images of conference rooms and power suits. Usually if I found myself in or around either, I would be accompanied by intense anxiety. For me, the business world seemed so far away and inaccessible. But now I find myself preparing a business plan, looking at commercial property, and sharing a vision for an independent bookstore and unique gift shop in a small North Dakota town. Entrepreneurial indeed—but not without creativity. In fact, creative thinking is what helped me put the pieces together to help integrate my values, strengths, and personal priorities into a business opportunity. I do have a “friendly companion” to thank for guiding me through the business planning process: The Right-Brain Business Plan: A Creative, Visual Map for Success by Jennifer Lee. This lively and engaging book continues to provide support and insight as I translate my spirited ideas from colorful collages to a detailed document. I highly recommend the book to folks interested in being more passionate about their lives. I am delighted to have the opportunity to start sharing my new vision of success. Welcome to Pages of Paradigm! Posted in Appreciating the Moment, Cultivating the Soul, Gaining a Sense of Belonging, Nurturing Nature, Overcoming Anxiety, Depression, and Grief, Recovering the Artist Within, Redefining Work and tagged business plans, creative, Entrepreneurial, recovery, writing. Bookmark the permalink. Rachel, I was serious on facebook, as someone who has helped numerous people, like yourself, who have never envisioned themselves as business owners, I offer my advice, support and sometimes just an ear to listen whenever you need it. Being a small business owner and a woman can sometimes make you feel quite alone – know that there are others out there like ourselves and sometimes we need to commisserate – sometimes we need the encouragement of kindred souls, and sometimes we just need a glass of wine and chocolate with friends. Thank you, Holly. You have a place in my inner circle of advisers. I look forward to the encouragement as well as the chocolate and wine!! How wonderful. 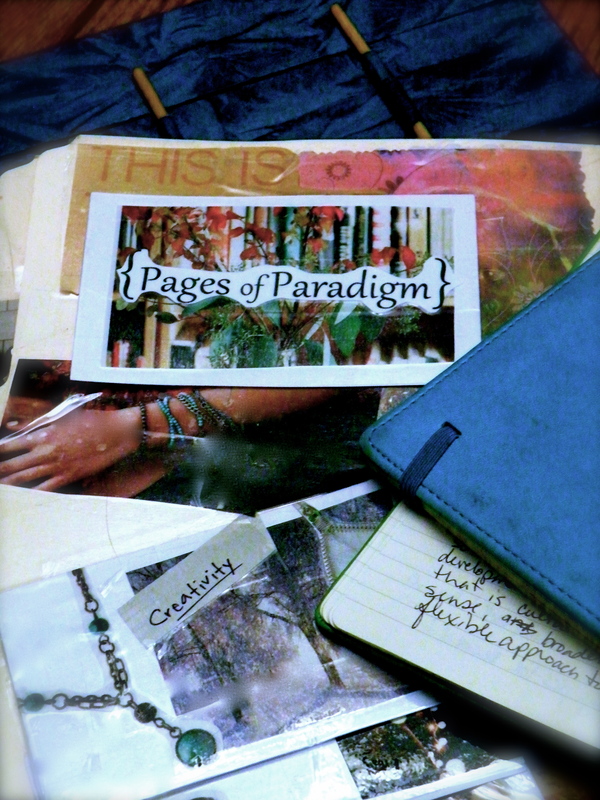 Welcome, Pages of Paradigm.